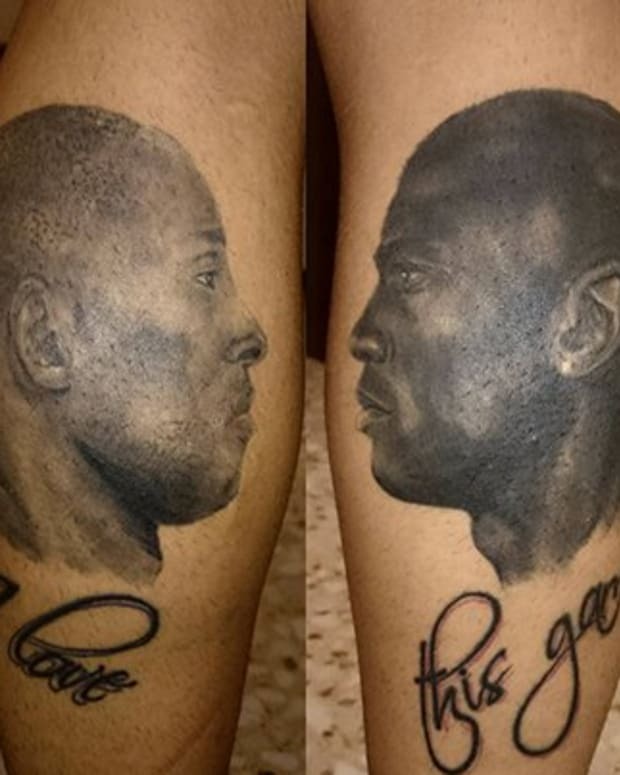 We’ve been discussing the legality of tattoo ownership for a while (see Who Owns Your Tattoo?) 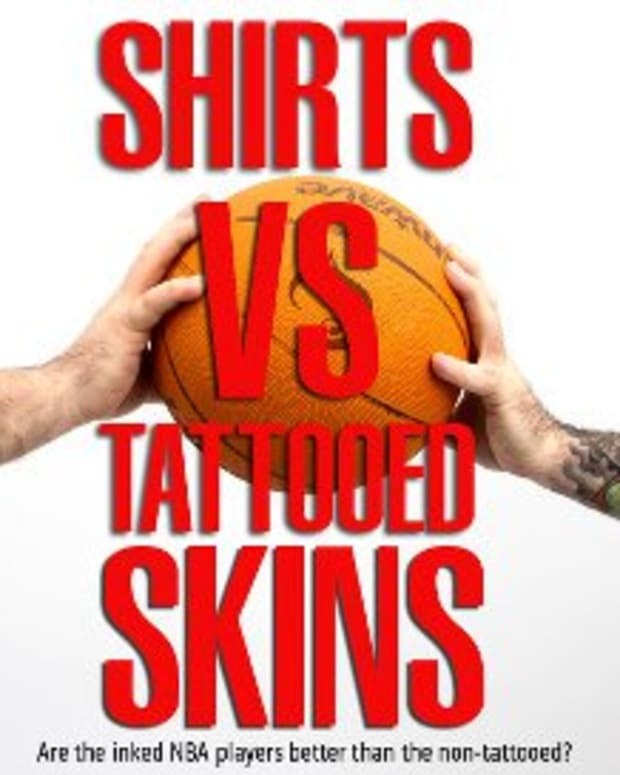 and though there isn’t solid legal precedent set on who owns the rights to the artwork—the tattoo artist or the wearer—Matt Siegler went and signed deals with tattoo artists to license the artwork of eight poster boys. 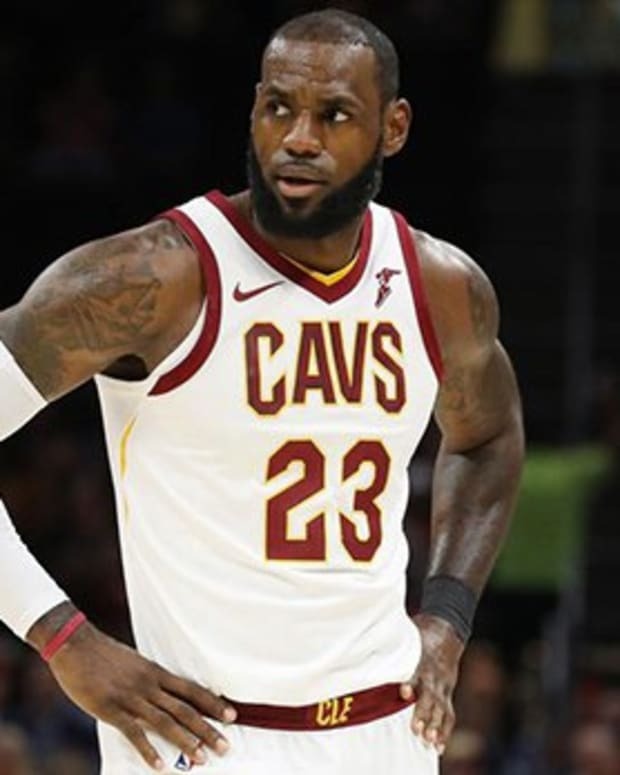 The other athletes are NBAers Chris Bosh, Kenyon Martin, DeAndre Jordan, Michael Beasley, Eric Bledsoe and NFL Super Bowl champion running back, Ray Rice. Two major questions arise. Firstly, if James, Bryant or one of the others feels like he owns the piece he could take it to the courts and the wearer could win. 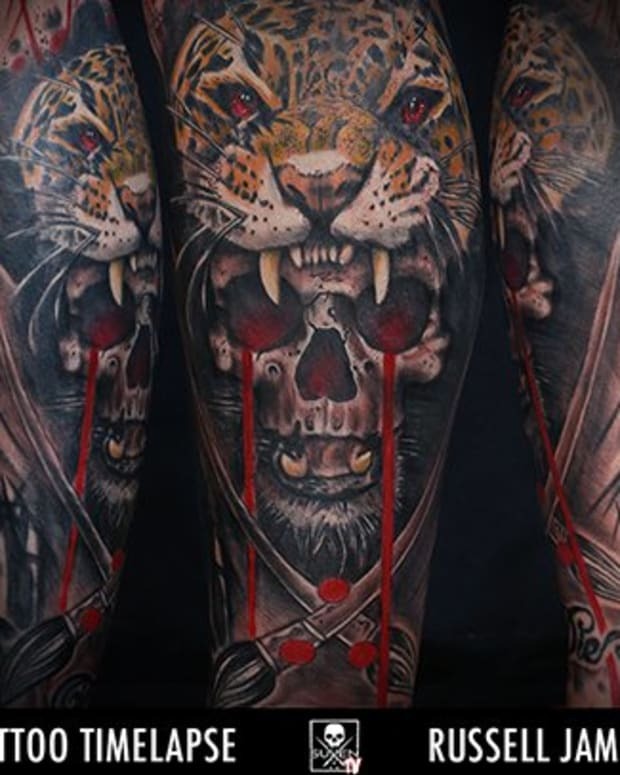 Since INKED began the conversation of tattoo art ownership, the majority of the community feels that the wearer of the tattoo owns the right to the art. 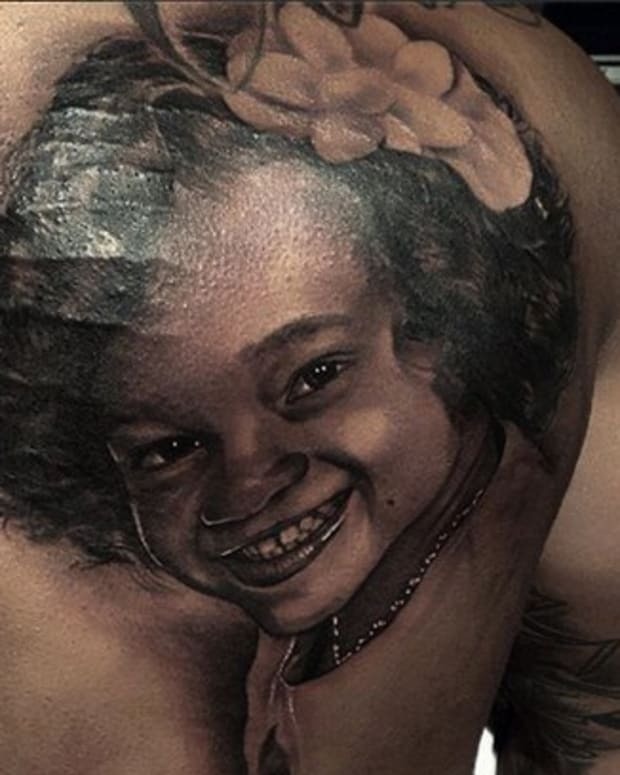 One goes to a tattoo artist, commissions a piece of original tattoo artwork and walks out with the piece—they own it. While the other camp, such as Siegler, believes the agreement between the tattoo artist and the customer isn’t a “full buyout” of the art but a “one-time usage” fee. This gray area can be cleared up with tattoo contracts but to our knowledge those don’t yet exist (stay tuned to inkedmag.com for downloadable tattoo contracts). 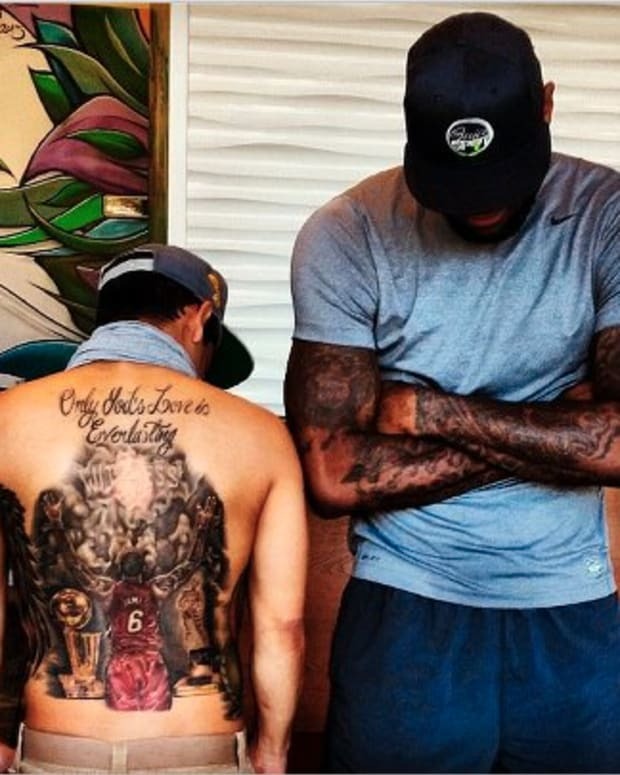 Secondly, with all respect to the talent of James, Bryant, et al, most of their tattoo work doesn’t live up their stature. 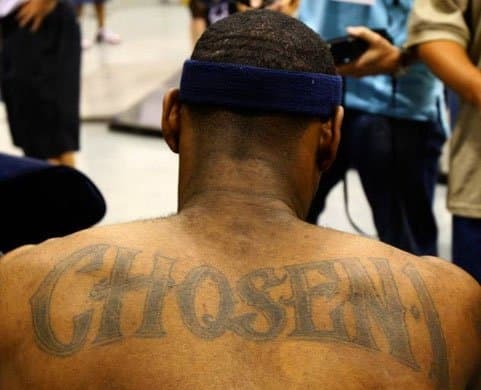 I wouldn’t wish the guy who flicked me off the other day James’s “Chosen1” or “Witness” script tattoo—that would be too mean. 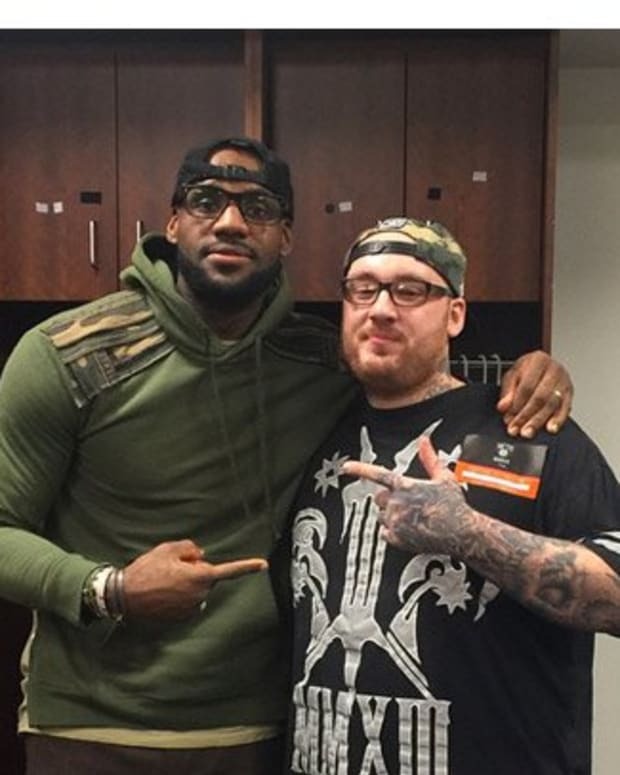 Yes, the brand of King James is a moneymaker but the weakest part of James is his shoddy ink. In a highly scientific poll of my Facebook followers not one would purchase anything that incorporated Bryant’s crown tattoo with his wife’s name and her hair. 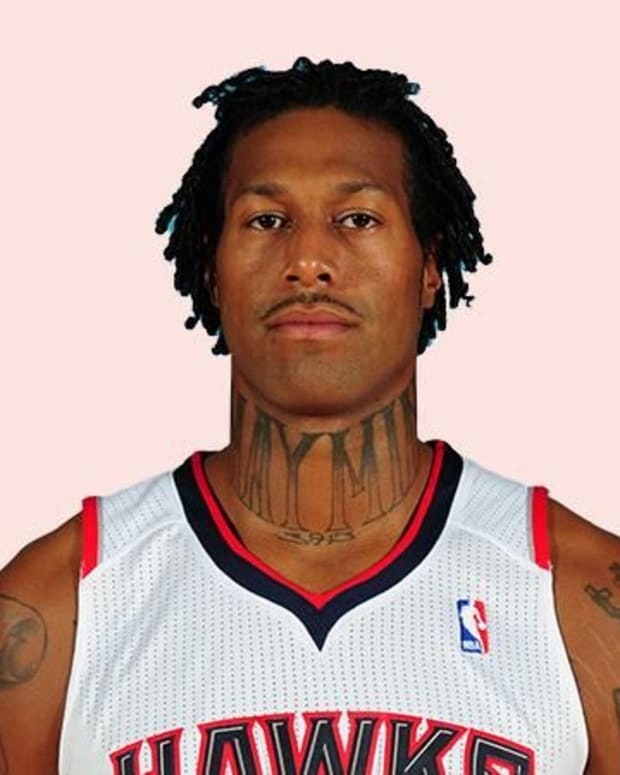 Tattoos do translate well to fashion, though—I think the best chance any of us to wear an amazing Paul Booth or Mark Mahoney piece would be on a piece of clothing—but the tattoos of NBA stars are, for the most part, awful. Even if Siegler signed the tattoo artists a commission deal, and not a buyout, the “thousands of hours of research” he’ll never get back because there isn’t a shot in hell that anyone would pay anything more that Dollar Store prices for a piece of clothing emblazoned with a janky tattoo from James’s body.